eCommerce is rapidly increasing in the world, but Croatian market was a little behind that trend. Why? Maybe it’s our distrustful nature to buy something online. Who knows. But the good thing is – we at Croatia are slowly but surely discovering the benefits of online shopping. Both as consumers and as shop owners. Wether you are big or small, on Magento or on some other platform, goal is the same. Increasing sales and keeping customers happy and loyal. One of the ways to achieve that is by shop localization. Customers are more comfortable using their native language when visiting web shops. 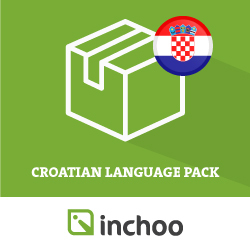 And to prepare a store for the Croatian market, we provided a Language Pack for Magento 2 in Croatian language. With this extension, more than 12 000 phrases of Magento 2 administration and frontend are translated into Croatian and are ready for use and further customization. Language Pack is now available for free through official channel – Magento Marketplace. It can be installed in less than 30 minutes. Once it’s set up, administration and frontend are translated to Croatian – no code has to be touched. By specifying Croatian as a default language, it becomes easier for the administrator to customise the store to follow brand’s tone of voice and attract more of the target market. Customer satisfaction is connected with simplicity of experience while shopping and understanding of store functionalities. To achieve this for Croatian merchant, we’re localizing Magento 2. Although Croatian market is a small one when compared to some other markets, we still believe translation will pay off in the long run. With Magento localization we’re helping merchants to customize their store not only from technical, but from legal side too. Therefore, we are developing supporting modules for Magento 2, as fiscalisation, shipping modules and most used Croatian payment gateways – HT PayWay system and WSpay system. Language pack is very important for every merchant that is on a market where English is not a primary language. Not everyone is accustomed to English, at least not to the level which would allow simple system managing. In some cases, lack of translation was the reason for avoiding Magento as a platform by Croatian merchants. With localization, stores on Magento 2 will be technically and legally prepared for the Croatian market and offer better user shopping experience. If you experience any difficulties with the installation, or have questions about localization, feel free to contact us! We’ll be happy to help. If you’re interested how the demo store looks, feel free to click away here. is there some documents how to install lang pack?